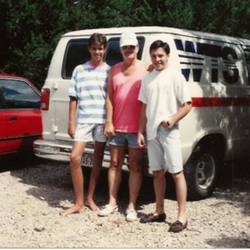 Our founder, Donald Siratt, was an entrepreneur before it was cool. In 1966, he delivered the first Xerox machine. This single delivery was the humble beginnings of the company that would later be known as WDS Logistics. From our beginnings in 1966 as Western, we’ve carved out a niche by focusing our business on high-value, time-sensitive product handling. Companies like Xerox, Red Bull, TechTrans, and Southwest Office Systems trust us with their most critical cargo and their most treasured customers. Even with the first delivery, our founder was focused on the customer experience–it truly is all about white glove service and a commitment to excellence in each and every delivery. We evolved the business in 2000 and named it WDS (for “We Deliver Service”) to concentrate on Texas and the contiguous states. In the years since, WDS has established itself as a best-in-class provider of logistical and transportation services. We specialize in the delivery, installation and storage of copiers, office equipment, medical equipment and other high-value products as well as live event set up and logistics. We have had the opportunity over the years to work with several Fortune 500 companies such as Red Bull and WalMart. However, we have remained laser-focused on our motto: We Deliver Service. And, we will continue to deliver service to each and every customer, regardless of size. Count on WDS Logistics to be masters of this region, and masters of logistics. When your cargo matters, and your customers matter, we don’t just deliver goods. We deliver your good name.